Corinna Fiorotti obtained her PhD in microbiology and immunology in 1999 from the University of New Hampshire (NH, USA) where she investigated bacterial pathogenesis of Legionnaires disease. She attended Harvard Medical School (MA, USA) to complete a post-doctoral-fellowship in molecular genetics where she was awarded several NIH grants to investigate polysaccharide genetics of Bacteroides fragilis. Her work was featured as a cover story in the journal Nature. She was promoted to the faculty at Harvard continuing her research in bacterial genetics and immune evasion as well as teaching medical students. 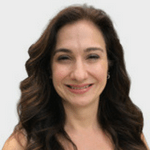 In 2003 she joined Eyetech Pharmaceuticals (NY, USA) and investigated the mechanism of disease in age-related-macular-degeneration and was involved in the approval of Macugen®. In 2005 she joined Pfizer (NY, USA) and was responsible for developing cell based assays for the detection of neutralizing antibodies, ADA and PK assays for both clinical and pre-clinical support in a GLP laboratory. She joined BioAgilytix Laboratories (NC, USA) in 2015 as the Business Development Director. Antibody–drug conjugates (ADCs) represent an innovative therapeutic approach that provides novel treatment options and hope for patients with cancer and infectious disease. In fact, ADCs are quickly becoming one of the fastest growing classes of oncology therapeutics in the pipelines of many pharmaceutical companies. The design behind ADC-based treatments – leveraging the specificity of a monoclonal antibody (mAb) to deliver a potent small-molecule cytotoxic drug to the intended pharmacological target, while reducing the exposure of normal cells [1,2] – seems relatively simple conceptually. However, ADCs have presented more challenges than developers expected at the outset. Despite hundreds of clinical trials, only three ADCs ever made it to market, and just two remain today. Why are additional ADCs not being approved to go to market? Their structure poses unique challenges to pharmacokinetic (PK), pharmacodynamic and immunogenicity characterization. Although some properties may be determined mainly by either the mAb or the small-molecule portion, the behavior of these agents is not always predictable. 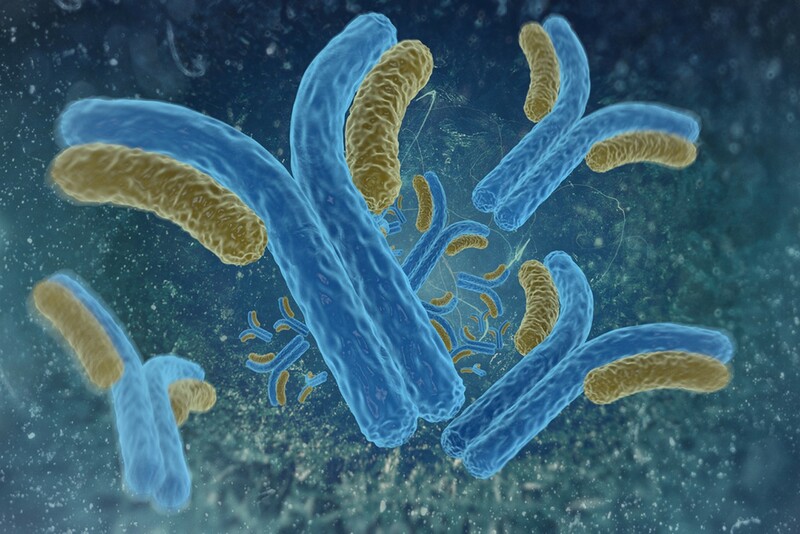 ADCs have the potential to elicit an immune response through the production of non-neutralizing and neutralizing antibodies (NAbs), which could impact their PK, efficacy and safety. ADAs can be formed against the antibody, cytotoxic drug, linker or any neoepitopes formed in the mAb as a result of the conjugation [3,4]. As such, it is standard across the industry to extensively monitor and characterize the ADAs that occur against ADCs to evaluate the drug’s safety and efficacy, which should be an ongoing process [5–7]. By evaluating the clinical impact of ADAs on safety and efficacy, the ADC’s probability of being immunogenic can be classified to indicate the biotherapeutic as low, medium, or high risk [8,9]. The risk of developing ADAs depends on factors stemming from the product, patient, and disease-related influences . A trademark characteristic of a high-risk immune response is neutralization of an essential endogenous counterpart. ADAs towards ADCs are not expected to cross-react with endogenous immunoglobulin molecules and result in loss of function. The generally well-tolerated human immunoglobulin component, intravenous route of administration, and immunosuppressed oncology patient population are all associated with a lower immunogenicity risk, however, due to the limited clinical experience and their complex tripartite nature, they are generally considered to be medium risk [3,11]. ADC immunogenicity assessments follow the same industry guidelines as other biologics but may require additional characterization [5–7,12–14]. The US FDA and EMA recommend that immunogenicity assays should be able to measure responses to all components of the ADC, utilizing a tiered approach of screening and confirmation followed by further characterization for domain specificity and an assessment for NAb activity [6,7]. The end goal of utilizing a thorough testing method is to produce quality data that can be analyzed, interpreted, and reported in combination with information gathered for PK, safety and efficacy. Two assay formats have been used to measure NAb activity: cell-based bioassays and non-cell-based competitive ligand-binding assays. Selection of the appropriate assay format should be reflective of the therapeutic mechanism of action and provide clinically relevant and meaningful data [15,16]. One of the biggest differences in immunogenicity strategy between a low- and a high-risk biologic is the need for a bioassay to determine NAb activity. In general, industry emphasizes the need for individualized immunogenicity strategies because of the diversity of biologics, rather than a one-fits-all approach. Because ADCs exert their mechanism of action inside targeted tumor cells, cell-based NAb assays are recommended and are the regulatory authorities’ preferred method to detect the presence of NAbs [6,7,17]. These assays use cellular responses as an assay end point to detect NAb-mediated inhibition of the biological function of the ADC and are considered more reflective of the in vivo situation. The use of non-cell-based assays is considered appropriate if efforts to develop a reliable cell-based assay are not successful due to susceptibility of the cells to matrix or drug interference . Cell-based NAb assays are structurally complex and thus do require specific considerations. Key steps in this process include selection of a cell line expressing endogenous or transfected target antigen that responds to the ADC, choosing the proper cellular response, selection for the ADC drug dose, selection of appropriate controls, and optimization of assay parameters. Assessing for method specificity is particularly important, as cell-based assays are often influenced by the sample matrix and cell lines can respond to factors in the biological matrix that can confound the ability to distinguish between true NAb positive and negative samples [18,15,19,20]. At the end of development, the assay must be validated according to regulatory and industry recommendations. The parameters in this validation include cut point, sensitivity, specificity and selectivity, precision, reproducibility of assay features, drug tolerance and stability [6,7,12,18]. Mire-Sluis AR, Barrett YC, Devanarayan V et al. Recommendations for the design and optimization of immunoassays used in the detection of host antibodies against biotechnology products. J. Immunol. Methods 289(1–2): 1–16 (2004).